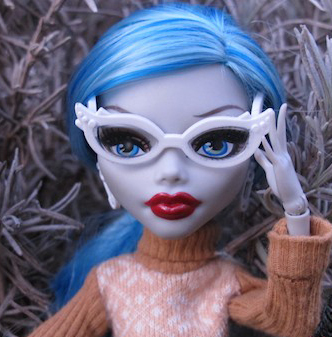 ﻿My daughter loves Monster High dolls, dolls that are ghoulastically pretty! Monster High is an American Fashion Line doll created by Garrett Sander, with illustrations by Kellee Riley. The characters are inspired by monster movies, either related to Dracula, the mummy, creature from the black lagoon,the Phantom of the Opera,the Wolf man,Medusa and Frankenstein's monster, etc. Pinks and blues,pretty and sophisticated with a bit of playfulness!